Bacterial Competition In Lab Shows Evolution Never Stops : Shots - Health News Day after day, workers at Michigan State University care for and feed colonies of evolving bacteria. The original microbes have produced more than 50,000 generations in the 25 years since the experiment began. Despite predictions the bacteria might someday reach a point where they would evolve no more, the results show they keep changing. The plate on the left contains about equal numbers of colonies of two different bacteria. 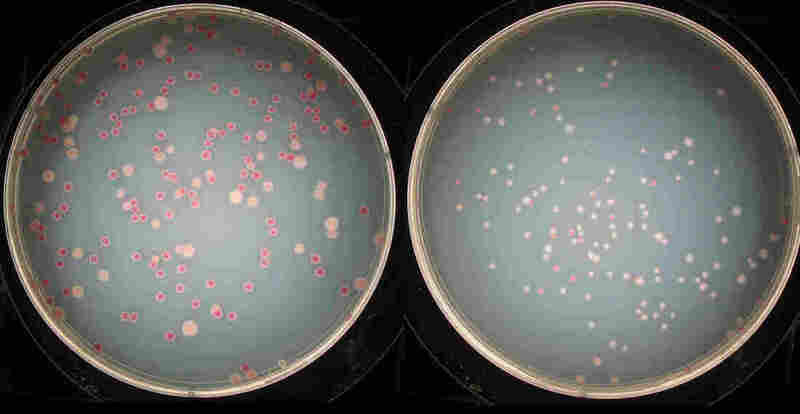 After the bacteria compete and evolve, the lighter ones have taken the lead in the plate on the right. 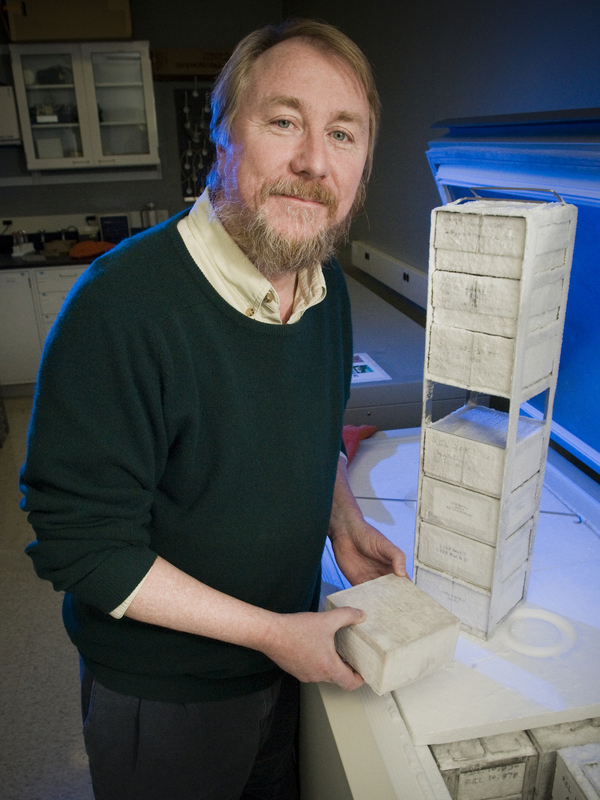 Michigan State's Richard Lenski pulls cultures of bacteria from a lab freezer. Day after day — including holidays and weekends — workers in Lenski's lab at Michigan State University in East Lansing feed and care for the E. coli bacteria. The bacteria eat and divide again and again. The original microbes have produced more than 50,000 generations over the last 25 years.